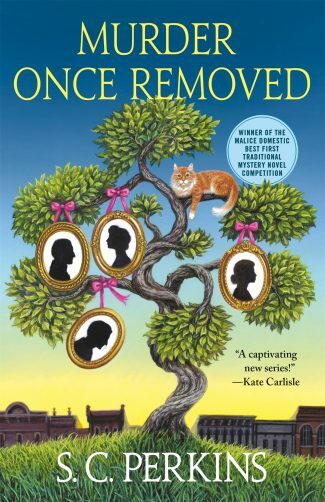 S.C. Perkins’ Murder Once Removed is the first mystery in the Ancestry Detective series, in which Texas genealogist Lucy Lancaster uses her skills to solve murders in both the past and present. Murder Once Removed, S.C. Perkins’ debut cozy mystery, is the perfect first in a new series and I’m eager to continue. Good-hearted, inquisitive and intelligent, Lucy Lancaster of the Ancestry Detective series is going to be a great investigator to follow. Genealogist Lucy Lancaster loves nothing more than tracking down her clients’ family history (maybe except for a good taco), but no request has ever been as exciting as Texan billionaire Gus Halloran’s. In her deep dive into Gus’ family history, she finds irrefutable evidence that Gus’ great-great-grandfather was murdered in the mid-1800s. 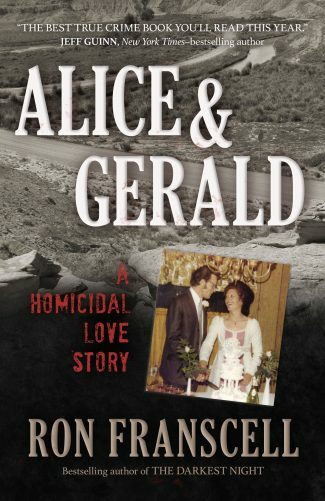 What’s more, she’s able to use the murdered man’s journals to narrow the suspect list down to two men, one of whom happens to be the ancestor of a present-day U.S. senator at odds with Gus Halloran and his family. Read an excerpt of Murder Once Removed. Things start to heat up for Lucy when Gus decides to publicly name the senator’s ancestor as the murderer, putting her at the center of an ancestral murder investigation. Then her mentor is murdered while protecting Lucy’s evidence in the case. Now she’s found herself in hot water, and her only way out is to dive deeper into all three family trees. She’ll find a man’s murderer, absolve someone’s family name, and maybe even help catch a bad guy real time along the way. 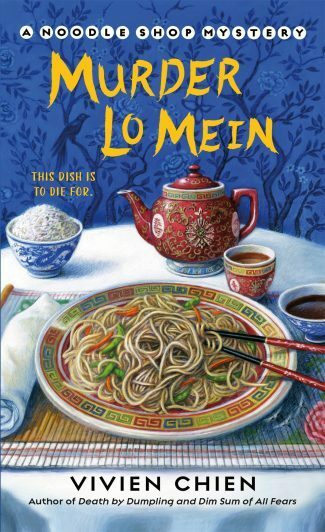 This cozy has one of the strongest starts I’ve ever read as a cat-loving, tea-sipping mystery reader (you will find all those things here). The knife had pierced Seth Halloran’s heart, exactly at the right spot that would stop it. Poor guy would’ve dropped right where he stood. I hit speed dial and tucked the phone between my ear and shoulder. “Got a report for me yet, Lancaster?” Gus asked. Anyone familiar with police procedurals would picture the same scene I did. We’re at a crime scene with a detective. We’re looking down at a body, while she reports back to a superior on the other end of the phone. The conversation begins to change a bit, and we’re confused. But we read on. And just like that, we’re in. Lucy is bringing us along for her ride down memory lane, explaining how her investigations have brought her to this moment, definitively finding out that a man was murdered 170 years ago. 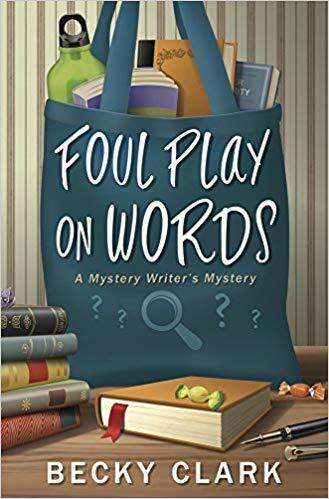 The plot to this story, the crux of the mystery, gets wonderfully complicated, but Perkins does an excellent job of dropping the reader hints along the way and having Lucy explain the developments as she comes upon them. Check out “Seven Fun Genealogy Facts” with S.C. Perkins! In what promises to be a great series, Perkins does a great job of introducing us to a cast of characters we’ll be looking forward to seeing again. Lucy shares her office with her two best friends, Serena and Josephine, who also run their own businesses. Lucy’s favorite food joint is owned and operated by Flaco Medrano, a rumored former cartel leader who has become a surrogate father figure for Lucy, and who serves up the best hangover menudo. Her landlord’s cat is like the apartment complex’s personal guard, and he has a special affinity for Lucy; his cuteness only intensified by his name—NPH, or Neil Patrick Housecat. And a very recent addition to Lucy’s circle is Special Agent Benton Turner, or Ben for short. The FBI agent introduces himself fairly early on in Lucy’s adventure, and he’s just the right amount of prickly agent and gentleman for cozy readers to adore. The more embroiled in the investigation Lucy becomes, the more Ben and Lucy realize they can help each other. I’ve read cozies about booksellers, bakers, librarians, witches and mediums, but a genealogist was a new and welcome addition to that list. The other great thing about the book is that it is actually a mini Texan history and genealogy lesson. There’s even a chart at the beginning of the book to get you past whatever hang-ups you might have about using “second” or “third” cousin rather than “removed.” We’re given all of the tropes we return to cozy mysteries time and again for—the investigator not directly involved in law enforcement, the prickly love interest who is in law enforcement, the cat—and we’re also given this new element. I’ve read cozies about booksellers, bakers, librarians, witches and mediums, but a genealogist was a new and welcome addition to that list. I’d really recommend jumping in on the chance to start this new cozy series at its start! Lucy is a fun sleuth for any reader, and her circle of friends is a cast of characters we’ll want to read about. Perkins will undoubtedly grant us another ancestral mystery that will keep Lucy Lancaster chasing down leads, even if they’re over 100 years old. 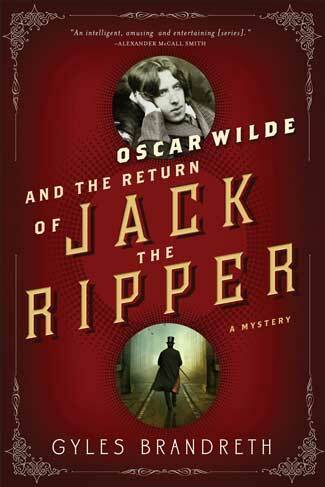 Alex Calamela is a lover of all things mystery and true crime. She can be found at any moment reading a good book, binging a killer podcast, or watching the latest squirmy docu-drama. Follow her on Instagram for more bookish content across the genres @ShadowsofShelf.